Yearbook classifieds for Medomak Valley High yearbooks are listed below. If you want to see if others from Waldoboro, ME high schools want to make a trade for a yearbook, post your info below. I'm looking for a yearbook from 2003-2004? 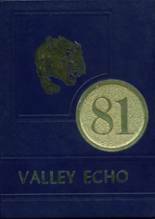 I am looking for yearbooks 1986,1987,1988,and 1989. Mine were stolen.